Are you struggling with acne? Buy your Skinoren topical acne cream from The Independent Pharmacy today, following a consultation with our Online Doctor service. Skinoren can benefit all acne types, including mild, hormonal, cystic and severe. Get acne treatment delivered straight to your door with our fast and discreet UK delivery and competitive prices. What does Skinoren cream do? Among its ingredients, Skinoren cream contains the active ingredient azelaic acid. Azelaic acid has a dual mode of action; it reduces the growth of the keratin cells that block pores and sebaceous glands causing spots, as well as killing the bacteria that live on your skin that can be responsible for acne. 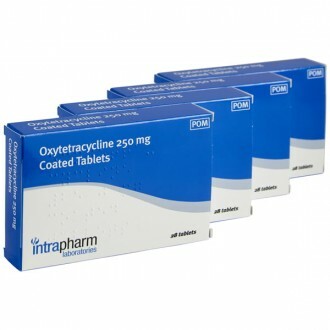 It is available to purchase from The Independent Pharmacy Online Doctor following a free consultation. Skinoren cream is available to buy from The Independent Pharmacy – a UK online doctor service – following a free consultation, to help to treat acne. 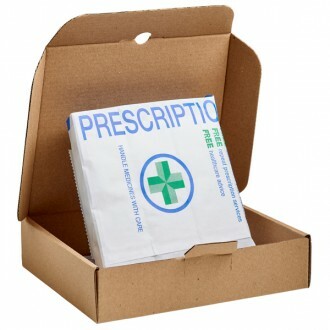 A prescription-only cream, it is not available over the counter. To find out more about acne and see all the available treatments, see our Acne page. Skinoren 20% cream is a prescription-only medicine (POM) used for reducing the symptoms of acne. Acne symptoms will present as blackheads and whiteheads, which are often referred to as spots or pimples. Skinoren gel contains the active ingredient azelaic acid and is manufactured by Bayer Plc. In the treatment of acne, azelaic acid works in two ways. It acts to reduce the growth of keratin surface skin cells. These surface cells can mix with sebum, which is a natural oily substance produced by the skin in the sebaceous glands. When keratin skin cells mix with sebum they can form a plug, blocking the pores on the skin. This can lead to blackheads and spots developing. By reducing the growth of keratin skin cells, Skinoren reduces the chances of pore-blocking plugs from forming. Skinoren cream also kills the bacteria associated with acne (propionibacterium). This common bacteria feeds on the sebum produced by the skin. This feeding causes propionibacterium to produce waste products and fatty acids that irritate the sebaceous glands, causing them to become infected and inflamed and resulting in acne symptoms. Azelaic acid works to decrease the number of propionibacterium by reducing the sebum on which they feed. This reduction in bacterial numbers reduces the irritation and inflammation of the sebaceous glands, allowing the skin to heal naturally. Azelaic acid also has the ability to lighten the skin by affecting melanin production, which is why some people use it to treat hyperpigmentation or dark underarm skin. 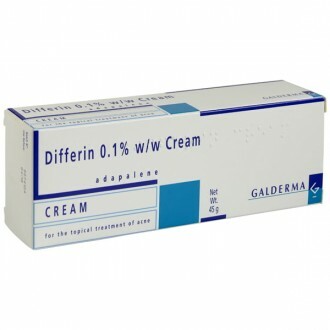 Skinoren cream is sometimes prescribed for rosacea, acne scars and dark spots. It has many benefits, in that it reduces inflammation, soothes and moisturises the skin, improves microcirculation, and lessens localised redness. 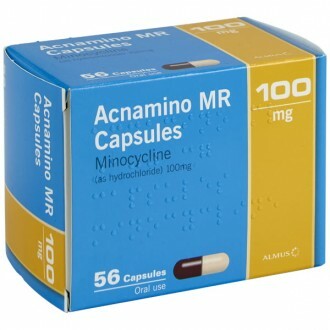 Research also suggests that it may be used to treat hair loss (alopecia) in men and women. How long does Skinoren cream take to work? 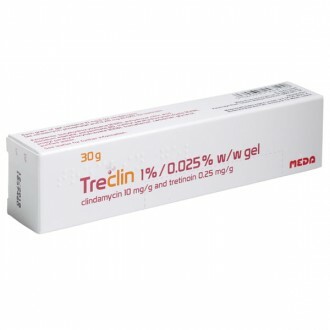 Skinoren cream is suitable for the treatment of mild to moderate acne, including cystic acne. 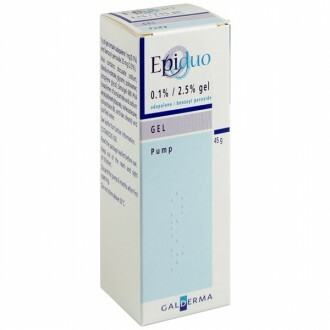 To obtain the best results it is recommended the gel be applied over a period of several months, but for no longer than six months. Pharmacist tip: Skinoren cream should be applied twice daily, in the morning and evening. should be applied to the affected areas after they have been washed and patted dry. People with sensitive skin may wish to begin using the cream a different dosage, once daily in the evening and increase to twice daily after around a week, as tolerated. Note that side effects can sometimes include skin irritation, such as a burning or itchy sensation. Make sure you inform your doctor if you are pregnant or breastfeeding before you start using Skinoren gel. Skinoren cream should be rubbed into the affected areas twice daily, after washing. 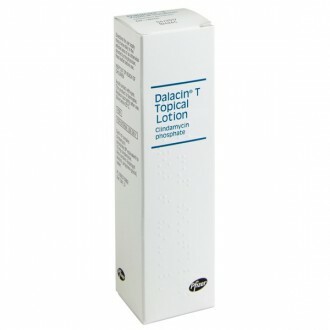 Those with sensitive skin may wish to apply Skinoren cream once daily in the evening for the first week of treatment. Skinoren cream should not be used for more than 6 months continuously. When using Skinoren cream, a single dose of about 2.5cm (roughly 1 inch or 0.5g) should be enough to cover the entire facial area. If other areas are affected the amount used should be judged accordingly depending on the size of area affected. To get the best effects from Skinoren cream it is important that it is used regularly for a number of continuous months. Improvement should be seen after around 4 weeks. Like all creams there is the potential that you may be allergic to Skinoren cream. We recommend you do a spot test before commencing treatment. If you do experience side effects from Skinoren cream, they can include a burning, stinging or tingling feeling, dry skin, itching, redness, a rash or skin sensitivity to light. Please read the Patient Information Leaflet enclosed with your medicines for a full list of side effects. Skinoren cream contains the active ingredient azelaic acid 20% w/w. It also contains: Arlatone 983 S, Cutina CBS, Cetearyl octanoate, Propylene glycol, Glycerol, Benzoic acid & Purified water. Skinoren cream should not cause a harmful interaction with any of your other current medicines. Please read the Patient Information Leaflet enclosed with your medicines for further information. What does Skinoren cream contain? 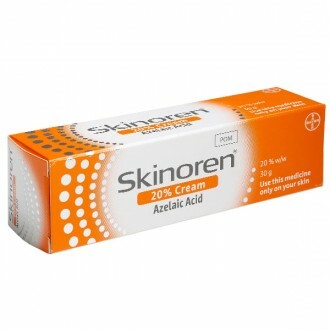 Skinoren cream contains azelaic acid 20%. Azelaic acid has a dual mode of action; it helps to reduce the excess growth of skin cells that block pores as well as reducing the number of acne-causing bacteria living on the skin. 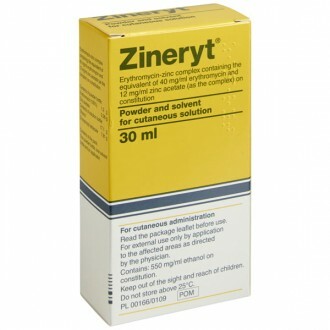 In adults and children 18 years and over, you should apply Skinoren to the affected areas of acne twice daily. You should cover the whole affected area, not just the individual spots. If you find that Skinoren causes irritation to your skin initially, reduce the applications to once daily until the irritation passes and then slowly increase back to twice daily applications. You should not use Skinoren for more than 6 months consecutively. 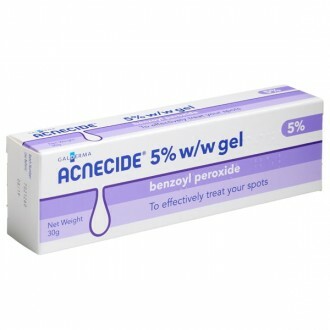 Can I use other acne treatments with Skinoren cream (azelaic acid)? 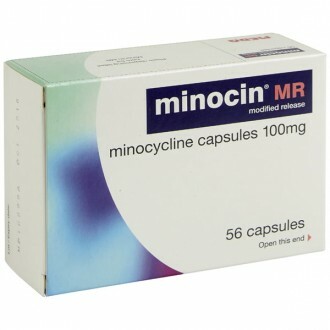 You can combine Skinoren with antibiotic acne treatments such as Tetralysal (lymecycline), Minocin (minocycline) or Erythromycin tablets. Skinoren should not be used with any other acne creams as it may cause excess drying or irritation to your skin. I have started using Skinoren cream and the treated area is red and irritated, is this normal? Redness and irritation of the treated area can occur when you use Skinoren Cream for the first time. This is not usually serious and normally subsides within a week. During this time reduce the frequency of Skinoren application to once daily to allow your skin to recover and then slowly build up to using it twice daily. Why can I only buy three tubes of Skinoren online at one time? Skinoren is an prescription-only acne treatment. 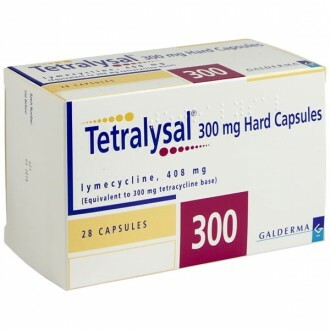 For that reason, to ensure the safety of our patients and the legal operating of our pharmacy, we only supply a maximum of 3 months treatment at one time. Skinoren treatment is normally judged for effectiveness after 8-12 weeks. This means that if you do not find Skinoren as effective as you would like, you are not stuck with an excess of medication. If you are happy with the results you can log in and re-order another supply to give you up to 6 months treatment. Is Skinoren available for next day delivery? Yes, we understand that sometimes you want to get your treatment as soon as possible. If ordered before 4pm Monday to Friday, Skinoren Cream is available for next day delivery. Is it safe to buy Skinoren online? Yes, as long as you are buying from a website that is a legally operating and regulated pharmacy it is perfectly safe to buy Skinoren Cream online. The Independent Pharmacy is an NHS Online Pharmacy based in Bristol and has all the necessary regulation to be able to safely provide convenient access to genuine prescription acne treatments through our Online Pharmacy & Online Doctor. How do I buy Skinoren online? It simple! Just select 'Start Consultation' above, you will need to fill in a simple health questionnaire so our GPs & Pharmacists can ensure it is safe for us to supply your Skinoren to you. It all takes around 3 minutes and your treatment can be delivered to your door. What are the advantages of buying Skinoren cream online? Tons of information - we provide all the information you could need on Skinoren/azeliac acid and other acne treatments, in easy to digest formats, at a time to suit you. What should I do if my skin burns, stings or peels persistently after using Skinoren? 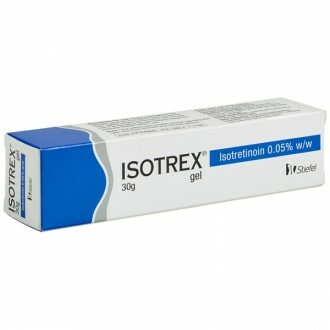 Temporary itching, burning or a tight sensation is common when you first start using this cream. However, once your skin adapts, these side effects should subside. If they do not, consult our online doctor or your local GP for more advice. Will Skinoren bleach or lighten my clothes? This topical treatment lacks the potential to bleach or lighten clothes. However, it is recommended that you use this cream at night to avoid soiling your clothing. What alternative topical treatments can I try if Skinoren does not work? There are a number of other topical treatments that can be used to treat acne if this cream does not work for you. 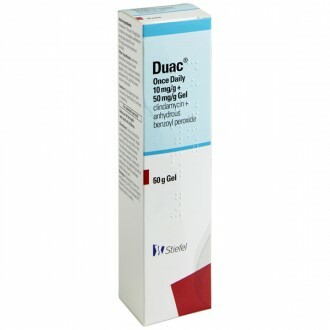 Benzoyl Peroxide (Panoxyl), Zineryt and Duac are just some of your options. Consult your doctor to discuss your options. Can I use this cream when pregnant? There have been no formal studies carried out on the effects of azelaic acid in pregnant or breastfeeding women. However, animal studies do indicate the potential for effects with respect to pregnancy, embryo-fetal development and postnatal development. However, dose levels without observed adverse effects were well above the maximum recommended human dose. What other conditions does Skinoren treat? 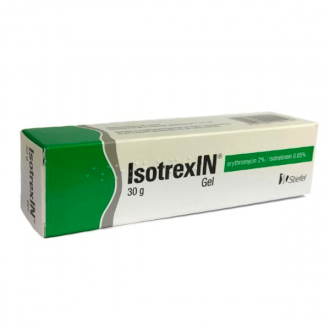 Skinoren is sometimes prescribed to treat Rosacea or Melasma (brown hyperpigmentation marks). It is also often believed that this cream can reduce the appearance of wrinkles, but we do not prescribe it for this purpose.